Family kinship ties in the Cherokee tribe are determined by the mother's clan. Children are automatically members of the mother's clan at birth. Each matrilineal clan was run by a council of grandmothers from that clan. The decisions and rulings of the Grandmothers were not to be questioned. The Clan Grandmothers of one clan joined with the Grandmothers of other clans when important decisions needed to be made for the whole village. If an individual broke the ancient Cherokee laws, they were brought before the appropriate Clan Grandmothers for judgement. The Clan Grandmothers were strict and would show no mercy to those who had committed serious breaches of social conduct. Because of this, Cherokee children are taught not only to respect their male elders, but also to show extreme reverence and respect to the Grandmothers. Even today, Clan Grandmothers are highly respected, obeyed, and honored. There have been seven Cherokee clans as long as the Cherokee people can remember. Some people think that the Ah-ni-ku-ta-ni (ancient Cherokee priesthood) comprised an eighth clan of the Cherokee People, but the Clan Grandmothers say this belief is a myth. The Ah-ni-ku-ta-ni appointed a member of each of the seven clans to represent both the spiritual forces and the ritual of ceremonies related to the progression of the human spirit from birth until entry into the spirit world. In ancient times, the priests would travel extensively within the Cherokee homeland performing the ancient ceremonies in each of the Cherokee townships. After the extermination of the ah-ni-ku-ta-ni by the Cherokee People, the ancient Clan system continued to exist but no longer represented the original ancient symbolism of the Ah-ni-ku-ta-ni rituals practiced in ancient times. The Clan systems remained simply as a bureaucratic artifact of the earlier cultural incarnation of the Cherokee culture, and much of the traditional knowledge and understanding of the origins of the names and purposes of the clan system was lost or forgotten. Each clan had a name that corresponded to the seven levels of spiritual progression of the human spirit as it grew and evolved on the path through life. In Cherokee society, the language, social structure, and interaction with the natural world were viewed as an interwoven tapestry that were inseparable and that existed this way to preserve the balance of forces between the two worlds, the world of physical reality, and the world of spirituality. There was a strong belief that all the elements of nature were in balance, and that this balance had to be restored if disturbed by the human element. Under Clan law, if someone killed the member of another clan through murder, a person from the clan who committed the offense would have to be sacrificed in order to restore the balance of energies between the two worlds. Ah-ni-ga-to-ge-wi or Wild Potato Clan - Were known to be farmers and gatherers of the wild potato plants in swamps (hence the name gatogewi = "swamp"), along streams, and swamps to make flour or bread for food, and were so named after them. They are keepers and protectors of the earth. The Wild Potato Clan have also been known as the Bear Clan, Raccoon Clan and even "Blind Savannah" in different regions. The Clan color for the AniGatogewi is Green and their wood is Birch. Ah-ni-gi-lo(la)-hi or Long Hair Clan - This Clan, also known as Twister Clan, Hanging Down Clan or Wind Clan. Gilahi is short for an old in fact very old ancient Gitlvgvnahita, the warrior women's society, meaning something that grows from the back of the neck". Those belonging to this Clan wore their hair in elaborate hairdos, walked in a proud and vain manner twisting their shoulders. They are teachers and keepers of tradition. Peace chiefs usually came from this clan at one time in Cherokee history and wore a white feather robe. The Clan color for the AniGilohi is Yellow and their wood is Beech. Ah-ni-(k)a-wi or Deer Clan - Those belonging to this Clan were the keepers of the deer, deer hunters and trackers, tanners and seamers, as well as keepers of the deer medicines. They were known to be fast runners and foot messengers. The Clan Color for the Ani Kawi is Brown and their wood is Oak. Ah-ni-tsi-sk-wa or Red Tailed Hawk Clan - Those belonging to this Clan (also called the bird clan) were the keepers of the birds, sacred feathers and bird medicines. They were messengers and were very skilled in using blowguns and snares for bird hunting. Their color is Purple, and their wood is Maple. Ah-ni-sa-ho-ni or Blue Holly Clan - Those belonging to this clan were keepers of all children's medicines and caretakers of medicinal herb gardens. They became known for a medicine from a bluish colored plant called a blue holly, and were so named after it. This Clan has also been known as the Panther or Wild Cat Clan, in some regions. Their color is Blue and their wood is Ash. Ah-ni-wo-di or Paint Clan - Those belonging to this Clan made red paint. 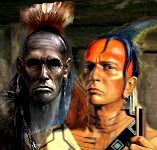 The tribe's medicine men, Dida:hnvwi:sgi (healers) and Adawehi (wise men), traditionally came from this clan at one time in Cherokee history. The Clan Color for the AniWodi is White and their wood is Locust. Ani'-Wah' Ya or Wolf Clan - The Wolf Clan is the largest clan today and the most prominent clan, providing most of the war chiefs, and warriors. True Ani'-Wah' Ya are protectors of the people. The wolf clan are keepers and trackers of the wolf and the only clan who could kill a wolf through special ceremonies and wolf medicines. The Clan color of the AniWaya is Red and their wood is Hickory. In ancient times, the clan names represented to the Ah-ni-ku-ta-ni the balance between the spiritual forces that shaped and guided the human spirit on its journey and development through life in preparation for entry into the spirit world. Membership in a particular clan did not mean that the members of the clan were in some way blocked or held at a particular level of spiritual development or attainment. Clan membership and the existence of the clans was simply meant to represent a balance of the spiritual forces that made up the world of the Ah-ni-yv-wi-ya. All members of the society could participate in the ceremonies and were all viewed as equals. Since the Wolf Clan represented the final level of attainment and was also the clan of the warrior class, its membership over time continued to grow in ancient times until it became the largest of the Cherokee Clans. It was believed that if a Cherokee person did not fully complete these levels of development, they would not be able to find their way to the place set apart for them with their people in the spirit world and would wander in darkness on the Earth after death as a spirit. Ah-ni-ga-to-ge-wi or Wild Potato Clan represented the material plane of earth or physical matter (earth). Ah-ni-gi-lo(la)-hi or Long Hair Clan represented the human people (breath). Ah-ni-(k)a-wi or Deer Clan represented the spirit of life, and procreation (life). Ah-ni-tsi-sk-wa or Red Tailed Hawk Clan represented the development of the human intellect (air). Ah-ni-sa-ho-ni or Blue Holly Clan represented purification in preparation for the ceremonies (purification). Ah-ni-wo-di or Paint Clan represented the four directions, the ceremonies and structure of society and the evolution of social organization. Ani'-Wah' Ya or Wolf Clan represented the doorway to the world of spirits and the development of higher social consciousness (spirit world, sacred fire). Customs of the Cherokee clans have evolved since ancient times. Traditionalists still observe clan customs regarding marriage and certain social events. In modern Oklahoma Cherokee culture, Stomp Dances still observe clan rules and hierarchy for Stomp Dance Events. Seating at ceremonial stomp dances is by clan, as well. The Cherokee society is historically a matrilineal society; meaning clanship is attained through the mother. Prior to Oklahoma statehood, the women were considered the Head of Household among the Western Cherokee in Oklahoma, with the home and children belonging to her should she separate from her husband. The knowledge of a person's clan is important for many reasons. Historically, and still today among Cherokee traditionalists, it is forbidden to marry within your clan. Clan members are considered brother and sisters. When seeking spiritual guidance and traditional medicine ceremonies, it is necessary to name your clan. Ceremonies which require the Cherokee to address the fire or perform washing in the sacred circle of an Ah-ni-ku-ta-ni ceremony requires that they name the clan to which the Cherokee belongs. Cherokees born outside of a clan or outsiders who were taken into the tribe in ancient times had to be adopted into a clan by a clan mother. If the person was a women who had borne a Cherokee child and was married to a Cherokee man, she could be taken into a new clan, and her husband was required to leave his clan and move to her new clan. Men who were not Cherokee and married into a Cherokee household could simply be taken into his wife's clan. The Blind Savannah are a subdivison of the Wild Potato Clan. Members of this clan were known to be 'keepers of the land,' and gatherers. The wild potato was a main staple of the older Cherokee life back east (Tsa-la-gi U-we-ti). At some Oklahoma Cherokee ceremonial grounds, the Wild Potato arbor is to the left of the Wolf arbor. The Long Hair Clan, whose subdivisions are Twister, Wind and Strangers, are known to be a very peaceful clan. In the times of the Peace Chief and War Chief government, the Peace Chief would come from this clan. Prisoners of war, orphans of other tribes, and others with no Cherokee tribe were often adopted into this clan, thus the name 'Strangers.' At some Oklahoma Cherokee ceremonial grounds, the Long Hair arbor is on the East side, and also houses the Chiefs and other leaders of the ground. The Deer Clan were historically known as fast runners and hunters. Even though they hunted game for subsistence, they respected and cared for the animals while they were living amongst them. They were also known as messengers on an earthly level, delivering messages from village to village, or person to person. At some Oklahoma Cherokee ceremonial grounds, the Deer arbor is to the left of the Wild Potato arbor. The Red Tailed Hawk (Bird) Clan were historically known as messengers. The belief that birds are messengers between earth and heaven, or the People and Creator, gave the members of this clan the responsibility of caring for the birds. The subdivisions are Raven, Turtle Dove and Eagle. Earned Eagle feathers were originally presented by the members of this clan, as they were the only ones able to collect them. At some Oklahoma Cherokee ceremonial grounds, the Bird arbor is to the left of the Deer arbor. The Blue Holly Clan's subdivisions are Panther, or Wildcat and Bear (which is considered the oldest clan). This clan produced many people who were able to make special medicines for the children. At some Oklahoma Cherokee ceremonial grounds, the Blue Holly arbor is to the left of the Long Hair arbor. The Paint Clan are known as a prominent medicine people. Medicine is often 'painted' on a patient after harvesting, mixing and performing other aspects of the ceremony. At some Oklahoma Cherokee ceremonial grounds, the Paint arbor is to the left of the Bird arbor. The Wolf has been known throughout time to be the largest clan. During the time of the Peace Chief and War Chief government setting, the War Chief would come from this clan. Wolves are known as protectors. At some Oklahoma Cherokee ceremonial grounds, the Wolf arbor is to the left of the Blue arbor. Clan grandmothers had the final say on all marriage customs of the Cherokee. When important matters required the entire township to meet for discussion in Cherokee communities, and it was a matter that required group consensus, or a clan internally had a group meeting on an important matter, each person would bring both a black and white stone or shell bead for voting. A basket would be present for the individuals to cast their votes. A white shell or bead signaled a positive vote, a black stone or bead signaled a negative vote. The voting system was not democratic in this case. If there were a proponderance of votes one way or the other, the minority voters were expected to discuss their reasons for being the minority vote and both sides were expected to come to balance and compromise and the votes would be recast. The voting would continue over and over again until the majority of the members voted en masse one way or the other. Votes were not secret, and was an open affair with all other members knowing who was casting the deciding vote. After the final vote was cast, any members who refused to change their votes were subject to sanctions, which could include banishment from the township, or the entire tribe, depending on the nature of the seriousness of the topic being decided. The Cherokee in ancient times believed that all things must be balanced and that agreement was always possible. When this was not the case, those members who refused to compromise were usually asked to leave the community. This was the reason for the numerous Cherokee townships that existed, and the method by which the Cherokee seeded new communities. When groups could not agree, they separated and created a new Cherokee township. This system worked and over time resulted in the Cherokee occupying huge areas of the Southeast. There were many instances in ancient times when a young couple fell madly in love and wanted to marry and were unable to obtain permission from their clans to do so. These couples could, and at times did, run off into the woods together and cohabitate as husband and wife. If they remained until the next Green Corn Ceremony, they could return to the community and be taken back as husband and wife to live with the woman's clan. Green Corn was the high religious ceremony of the Cherokee People, and all debts and minor infractions of the law were typically forgiven between parties at this time. This practice allowed slight deviations from the ancient religious laws to be tolerated in the interest of the preservation of Clan and family relationships, should disagreements arise between clans over minor matters. Serious crimes were not forgiven and required severe punishments. Certain classes of offenses required either the offender to present themselves for punishment, or another member of their clan to take the place of the offender. 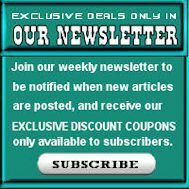 In ancient times, if a Cherokee committed a major offense, such as murder, the people most likely to hunt him down and bring him to the Grandmothers for judgment were the members of his own family or Clan. Modern Cherokee societies and Nations, with the exception of the United Keetoowah Band of Cherokee Indians are true democratic societies which no longer allow banishment of tribal members.